Restored the old site design from summer 2009. All pages have been updated with current content and the forum was not modified. The move was completed last night. Have a few things planned with this new server. Stay tuned. Netrek managed to keep its head above water another year which is always great news. Seen a small pool of new players asking support questions and not always receiving helpful answers so I am changing the login for the Windows clients hosted on this site to PLAYNETREK.org. Would like to give this site visibility as the client isn't always downloaded directly through playnetrek.org. New players can always use this site for reference and if they have a question are free to ask either by emailing me or posting in my discussion forum. If I am unable to answer a question I will do my best to point them in the direction of someone who can. Updates will take about 3 weeks to be fully in place. MacTrek 1.5.0 has been released. Many new updates and bug fixes. Download it today. Changing the logins on some client to test how it influences game play within the community. Testing several scenarios to help draw in new players. Netrek has not done well this past year, would like to see if we could get some new talent in the game. Please be patient. My goal is to not draw people from any particular server but to draw people into the game. The goal is to support Netrek as a whole. I would love to see this game revive. Be patient and support new players. Thank you. Have been extremely busy this past month promoting Netrek. The summer months are always the toughest to bring in new players. Working with a new advertising company as well as using GoogleAds a couple days a week. Seeing some new traffic, not much but some which is good. Made many site changes to help give better visibility to search engines. Will take 3-4 weeks to see the results but I am confident they will be good. Expect to see some new players next month!! Also, I have been working with server admins to help create a friendlier environment on the game servers. Everyone knows the importance of keeping new players around. If you are new and treated poorly or witness a new player being abused please email the server admin. The server admin for each server is listed on the MOTD of each server. Keep an eye out for the new-be-nice logins......They're baaaack. According to their policy the way they attract traffic is through site redirection using abandoned domain names. With that said, I expected to see hits from more then one address. The summer months have always been tough in attracting new players but with 10,000 hits I expected the results to be better. Redesigned the entire site. Yes after many years it has been done. Much of it is the same content but I have integrated flash to help keep up with the times. There is also an html version for those of you still on dial-up and can't spare the bandwidth. Have fun with it. I know it has been a while since any updates have been posted on this news page. Believe it or not, things have been happening I just have not updated the news section. The new Star Trek movie came out this month and has been helping draw in new players. Always good to see. Also have some advertising campaigns going on for the next month to assist in drawing new players to the game. If you have more then a month under your belt be sure to help the new players out so we can keep them. If you are a new player and have a question please feel free to email me or join our Support and Discussion Room. Found a bug in the config utility that would cause the application to error out when saving a configuration. It has been fixed. If you are experiencing problems with the config utility please download the newest version of XP 2009 and reinstall. Download it today! This release contains some major bug fixes, graphic and sound enhancements and some additional features to help with game play and stability. The tutorial has also been updated to help new players get into the game faster. A new release is expected this month, Netrek XP 2009. PlayNetrek.org has worked out a deal with Netrek.org that will allow PlayNetrek.org to serve as a sister site for Netrek.org and a secondary gateway for helping new players get into the game. Once the new release is listed all game listings will be shifted to point to play.netrek.org. An ad campaign was launched this past week that will advertise Netrek on three high volume software listing sites that receive a combined total of over 1.1 million page view per month. The ad campaign will run until the end of October. A Netrek newsletter will be sent out to members of the Netrek Discussion Forum announcing the release along with other news in the Netrek community. Been a while since any updates. The plan is to still move forward with the merger however due to other obligations I don't have time to work on this project right now. All people involved with this project are keeping in touch. Have promotional requests that were sent out in August being approved and new listings being made to help draw in new players. Seeing 3500-4000 unique visitors hitting this site monthly and a steady flow of new players so playnetrek.org is doing its job in attracting new players. If anything changes I will be sure to post an update. Currently having discussions with Andrew Bressen and Dave Ahn about moving playnetrek.org over to netrek.org. Andrew has done a great job in getting netrek.org back online and a merger like this could benefit the game greatly. There is a lot involved with this transfer as playnetrek.org has managed to earn some great search engine rankings, has several areas of support that will need to be transferred and has thousands of links pointing back to it. Based on the discussions we have had so far, it looks like we will be moving forward with this transfer. Very excited about this. More details to come. 3-4-2007--Netrek XP 2006 version 1.2 Released!!! Netrek XP 2006 version 1.2 has been released. Bill did a great job in this latest update. Adding 50 fps graphic support, new sound enhancements and working out a lot of bugs found in earlier versions. I updated the config utility to include the new "Classic Mode" option for the veteran players wanting to move over from XP Mod. Should help for an easy transition. Made some site changes and implemented a few additional marketing strategies. Going to hold off on making any more changes to this site, clients and marketing plans for a while. Still waiting on a few things to kick in, everything I am waiting on should be fully in place by March 9th. You can count on seeing a lot of new players over the next couple months. Config utility updated for the Netrek XP 2006 version listed on this site. Added a bunch of options. Bill Balcerski thought of the middle mouse button assignment and the new Classic Mode option. Big thanks to Bill for the great ideas and helping test and work out the bugs. Turned out great. The new config utility is only available by downloading Netrek XP 2006, it is not available as a separate download yet. I implemented a few additional options for the version listed on this site. Seeing a lot of new traffic this past month. Three ad campaigns running one being new that I have never used before so I am testing it out, one on Google Ads and a banner ad campaign that I renewed for another month. Seems to be bringing in a steady flow of new players. If you would like to Make a Donation it would definitely help out. Updated the config utility to include a few more options. Changed the logins for the windows clients listed on this site to playnetrek.org. 2-2-2007--Sit Back and Watch, the Floodgates Have Been Opened! Created an Online Tutorial for Netrek. Based it on the Netrek XP Mod 4.4.0.4 (Netrek Classic) version available on this site. While the tutorial is geared towards a certain version, there is information in the tutorial that applies to all versions. Currently working on making an online tutorial for the XP 2006 version and may possibly be listing an online tutorial for the MacTrek client in the near future. Stay tuned! A huge thank you to Victor Chang for his donation. I will have Google Ads back in place today. I will have the ads running four days a week during specific times to help draw new players into servers when they are most populated. Thanks again for the donation!! Added a new Support and Discussion Room for new players needing help and support. Also added a Help and Support page. I have updated the menus and restructured the way links are setup. Hope this makes it easier to get new players help if needed. The Clue Game Quick Connect program has been updated along with all the clients. I found a bug with the the way data was being retrieved from the config file. That bug has been fixed. Due to a recent server change I also adjusted the observer slot selections to point to the correct ports when connecting to netrek.warped.us. I made some changes to the config utility for the Netrek XP 2006 version on this site. Added more options and removed the login box. The original version of the config utility is still available with the client listed on netrek.org. Made a bunch of site changes. Added a Help and Support section at the bottom of the homepage. Also, thanks to Dantes, I have added an additional page to help with dogfighting. The Dogfighting Basics Guide by Dantes(tb3) is now available. Plan on letting Google Ads run a couple days a week for the next month. Installers for both Windows clients have been rebuilt. The Cambot Helper program has been included to help record and playback games. This program is also available as a separate download(Windows Only). 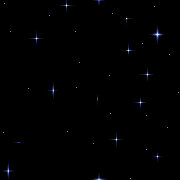 Login for the Windows versions on this site have been changed from Happy_Holidays to playnetrek. Hard to believe next month is the three year anniversary for PlayNetrek.org. Making a temporary change to the logins in the Windows clients on this site. Trying to monitor a few things and it is difficult with the playerbase being flooded with new-be-nice and netrek_player logins. New login will be Happy_Holidays, I will change it back on 1/1/07. Be nice to our holiday newbies! Plan on introducing a new and permanent login in the near future, juggling around a few ideas on this. Working on a dedicated help and support page. Right now I have a number of pages for support on specific topics but I do not have one page that ties them all together. Hoping to have this in place in the next couple weeks. Made a lot of changes this past week. Created the Clue Game Quick Connect program to provide an easier method for joining clue games. This application helps both old and new players. It is only available for Windows. A screenshot of this application is available at Clue Game Quick Connect screenshot. This has been bundled with the Windows versions of Netrek on this site and is also available as a separate download. Relisted NetrekXP Mod 4.4.0.4, have it listed as Netrek Classic. Updated the tutorial, configuration utility and added the Clue Game Quick Connect application and bundled everything into one nice installer package. I bundled both tutorials as separate downloads and added the "Other Downloads" section to the menu on the left. Tutorials and Clue Game Quick Connect applications are listed in this section as well as at the bottom of the home page. This is going to be a lengthy news post, we have a lot going on. Great couple months for Netrek. Have had over 3000 visitors per month for the past two months. Netrek XP version 1.1 was downloaded over 1000 times in November from 46 different countries. The link pointing to the MacTrek client was clicked almost 150 times and the link pointing to the Linux client was clicked almost 100 times. In October I began putting several promotional items in place to help attract more traffic to this site and to help draw more people into the game. These promotional items were supposed to have been fully in place by the middle of October but there were delays on some causing them to not kick in until this past month. Most of these items are now in place. Still waiting a few more, they should be in place and fully operational by the end of December. This past weekend I began working on making changes to the config utility for Netrek XPMod and fixing various bugs spotted in the config file while preparing for the launch of Netrek XP 2006. Was hoping to start this project in September but have had a lot going on in life and was unable to find the time. When XP Mod is launched I plan on listing the client as "Netrek Classic(XP Mod 4.4.0.4)". I will be adding more options to the configuration utility and tweaking the tutorial currently available with Netrek XP 2006 with a more generic tutorial the helps players learn about Netrek without being weighted to a particular client. I also plan on having the new tutorial available as a separate download for those that have already download a client and only want the tutorial. Netrek XP 2006 will still be the primary Windows client promoted by this site, I just wanted to make both clients available. The recent metaserver change seems to be drawing traffic back to the Bronco servers. This change only allows preferred servers to be listed while making all spare servers invisible. As soon as one of the preferred servers has 12 people in a game, all servers become visible. This is being done to help attract players back to Bronco type servers due to the recent drop in games on Bronco servers. I think the threshold for this should be set to 10 players until the playerbase builds back up but I have no control over the metaserver. I feel the Sturgeon server got the short end of the stick on this deal but also feel the change was necessary to help attract players to all server types, I know for a fact that Bill has put a lot of work into his client and server. He has spent a lot of time making changes to the warped server to help add variety to the game and make the game more interesting for new players and the slowly growing Sturgeon playerbase. His server has always operated cleanly and when speaking to him he has always placed drawing new players into the game as a priority. At the same time I would like to monitor this change over the next couple months to see what kind of impact it will have on the playerbase. Nothing like this has ever been done in regards to the metaserver so it will be interesting to see how things unfold. My hopes are everyone can be patient and work together on this to avoid any conflicts that may have a negative impact on the game. We shall see. October was a great month for PlayNetrek.org, over 3300 unique visitors which is impressive considering I pulled my advertising in the second week due to costs. MacTrek 1.0.1 has been release. Created by Chris Lukassen, this looks like a great client. MacTrek will only run on Tiger. For those of you that have been emailing me for a better Mac client, here you go. A link to MacTrek has been added to this site. Launched three advertising campaigns today to help promote Netrek. Should help draw some extra traffic into the game. Also added links to Bill's Sturgeon Guide and FAQ page. His page should help answer any questions regarding Netrek on Sturgeon. New client release has been very successful. This is going to be a great year for Netrek. Have received many compliments and a lot of positive feedback regarding the client. It is a step up from previous Windows clients and based on feedback I have received over the years it is what new players want. Someone asked me why version 4.4.0.4 is no longer listed on PlayNetrek.org. Version 4.4.0.4 is a great client and I do plan on listing that version along with Netrek XP. However, while working with Bill in getting Netrek XP setup on PlayNetrek.org I identified many bugs in the configuration file for version 4.4.0.4 that I would like to fix. Unfortunately due to time constraints I will not be able to work on fixing these bugs and redesigning PlayNetrek.org to list both clients until September. Plan on seeing a lot of new players in the coming months! Bill released version 1.1 of Netrek XP 2006. This client has incredible graphics and sound improvements. Many added features to help new players get started. joe evango updated the configuration utility and added a tutorial for new players. Netrek XPMod version 4.4.0.4 will also be listed on PlayNetrek.org but will require some site changes. 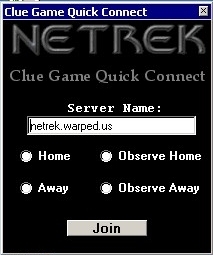 Until I have time to make those site changes only Netrek XP 2006 will be listed as the primary Windows client on PlayNetrek.org. Google ranking for PlayNetrek.org took a huge jump this month. When performing a search for Netrek this site comes in at number two. Until this month I have been bouncing between 10-15 on that search. Even better when performing a search for "free online space game" PlayNetrek.org is coming in at 10 and 11 out of 183,000,000 links. Incredible considering it is all coming from site design changes and I have had to pay nothing for the ranking boost. 3818 unique visitors for March. Incredible amount of traffic these past months. Wait queues everytime I check. Almost 3000 unique visitors last month. Came in at about 2900. Dave Stabosz is still running his advertising campaign through Google and I am running a campaign though TrafficSwarm which I have used in the past with great results. Big thanks to Dave for his contribution. Have a new link for the linux client, Trent Piepho's website is setup great for promoting his client. I didn't realize how many features in the Windows client were originally introduced to Netrek by Trent. Very humble developer. I got Netrek listed on a gaming site this week that receives about 20,000 visitors a day. Also looks like Bob Tanner just released a cow package for Debian. I haven't had time to look into Bob's release but will update this section as soon as I do. Very nice to see the community coming together. Also nice to see that there has been t-mode every day since the second week of January. Great job everyone! Nothing seems be be happening with the metaserver banning bot servers reporting bots as players. Not sure why this is being allowed to happen. Reactivated a couple services I have used in the past to try and drive a little extra traffic into the game. Netrek.org has been down since August. Last I heard it was due to hardware failure. I do not know when it will be back up. Over 2100 unique visitors for the month of August. Pretty incredible. Big thanks to Dave Stabosz for all his contributions. The site had 2189 unique visitors for the month of June. That is the best month since the creation of the site. I made some site optimization changes that should help boost search engine rankings a bit. I updated the windows installer, changed the text on some screens and added screenshot of the game in the left pane of the installer window. I renewed the download.com listing for another year. I setup a link exchange with atechgroup.net to help improve site rankings and to give the game a little more visibility. For the month of May PlayNetrek.org had 1099 unique visitors with over 9500 hits. A big chunk of this traffic is coming from Dave's ads. Dave has launched an ad campaign to help promote the Netrek. We are already seeing traffic flow in from his ads. My credits are running low on TrafficSwarm which means a fewer visitors. Unless I pay a monthly fee traffic from will die down to about 20 visitors per month from this service. Only received one donation and the monthly cost is too high to continue the ad campaign. It will continue running for several more weeks. TrafficSwarm pulled in 81 visitors for the month of February. I am seeing good results from the banner ads. They have managed to pull in several dozen visitors in just the last 3 weeks. I created a PADS file for the site and Windows client and submitted it to about 100 gaming sites. Most sites have accepted the file. Created a donations page with a paypal to hopefully bring in donations to help with the cost of the banner ads. Launched a banner ad campaign with several companies. Banners will be shown by three companies on about 35,000 sites every month. Have read some good things about TrafficSwarm. They have some nice bonus incentives right now for signing up and I have read a some good things about this service.